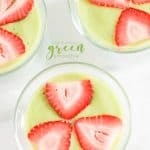 Delicious green smoothie recipes! 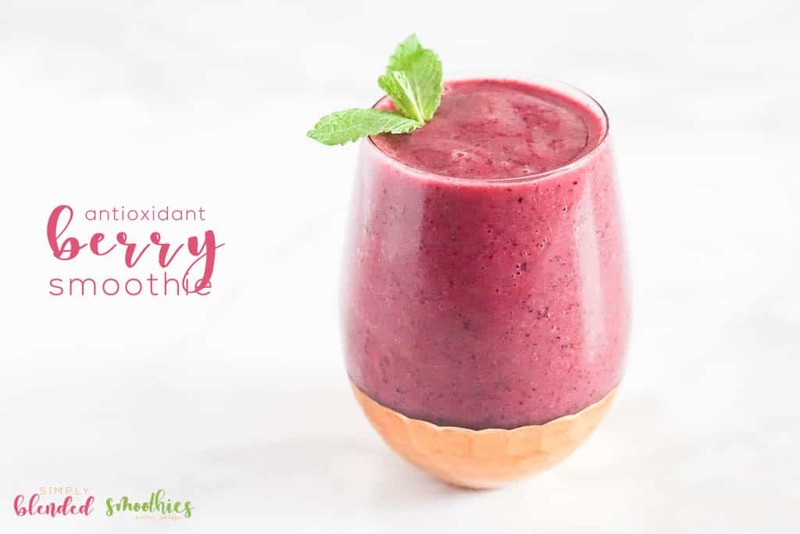 Most people either love or hate green smoothies (but everyone loves this antioxidant berry smoothie recipe here) . And in all honesty, if you hate them, it’s probably because you haven’t had a GOOD green smoothie. 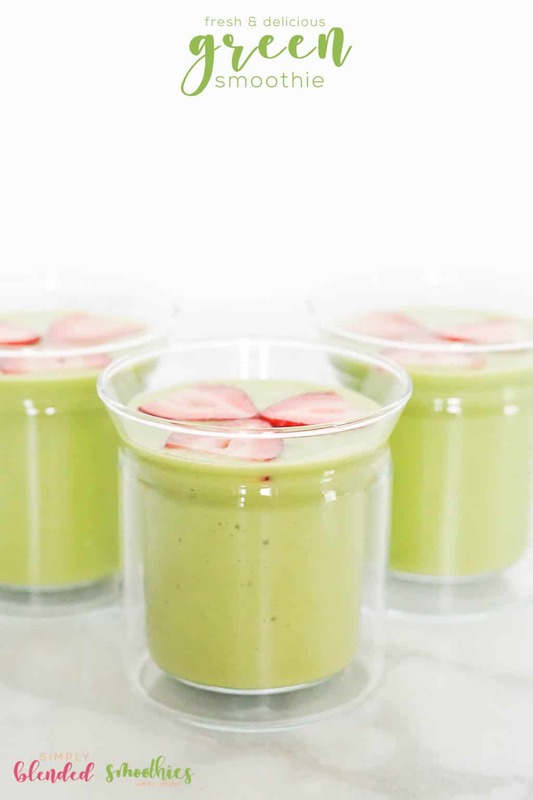 Some green smoothies take a little time to acquire a taste for. The green smoothies that are full of kale, cucumbers and green peppers aren’t everyone’s favorite. But a smoothie that happens to be green, but tastes like a tropical treat!? Those are the best kind of green smoothies ever! 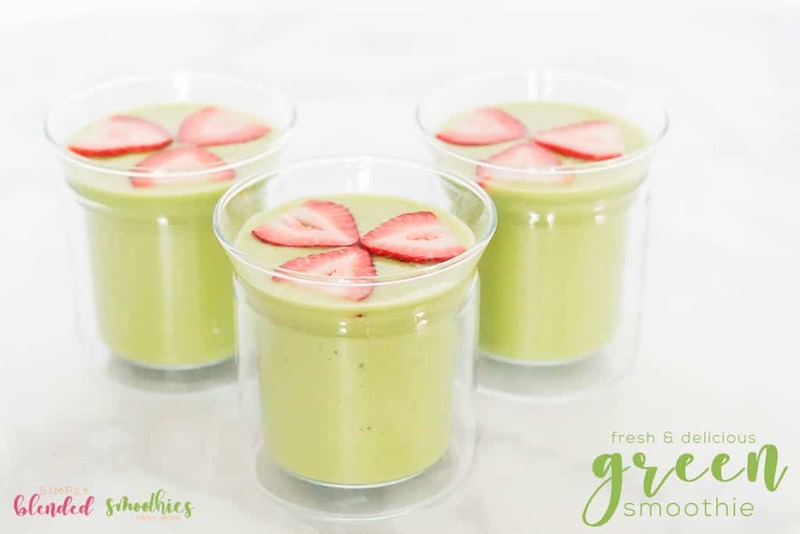 So today I am excited to share a simple and delicious green smoothie recipe with you that is a kid-approved green smoothie recipe. Oh, and it’s also a toddler approved green smoothie recipe. And a husband approved green smoothie recipe. So really…this green smoothie recipe ROCKS! And if you’ve ever been afraid of a green smoothie, you no longer need to be! Just use my fool-proof green smoothie recipe and you will have a winner every single time. Oh, and the best thing about a green smoothie is that you are packing a huge nutritional punch into a delicious drink for the whole family!! 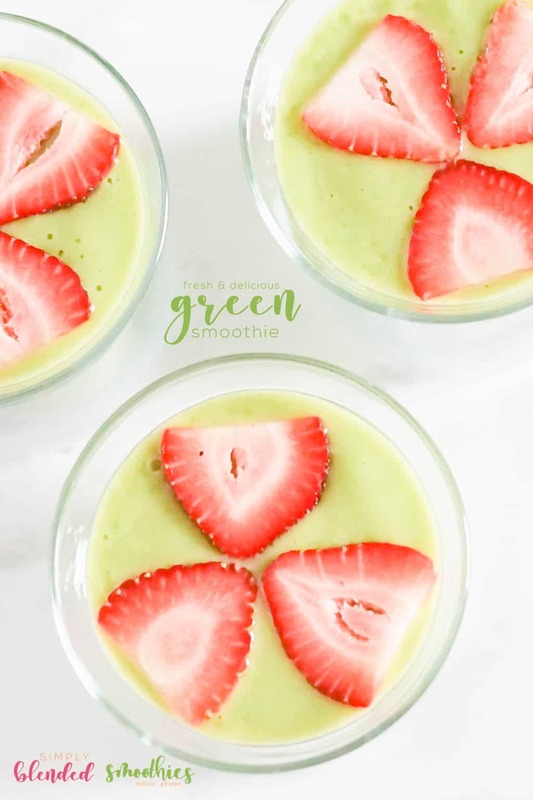 This Simple and Delicious Green Smoothie Recipe comes together really quickly and you can use fresh or frozen fruits and vegetables. Fresh fruits and veggies always have the best flavor and texture in my opinion, but you will want to add ice to the smoothie in order to make it cold. If you use frozen fruits and vegetables, your color may be slightly different and the flavor may not be quite as strong, but frozen is so convenient to keep on hand! And you can always add additional fruits or vegetables to get the best taste possible. Either fresh or frozen fruits and vegetables work for smoothies, the decision on which you use really comes down to availability and your personal preference. Place mango, pineapple, banana, spinach and milk (plus about 1 cup of ice if needed) into a blender. Top with sliced strawberries if desired. Because mango is in-season for such a short period of time, I typically use at least frozen mango in this recipe. But fresh pineapple, when available, gives this smoothie such amazing flavors that just don’t compare to frozen! But frozen is great in a pinch. Both the milk product, banana, and mango contribute to this smoothie having a smooth and rich texture to this smoothie. If you want to sub the milk product for orange juice you can, but your smoothie might lack some creaminess. 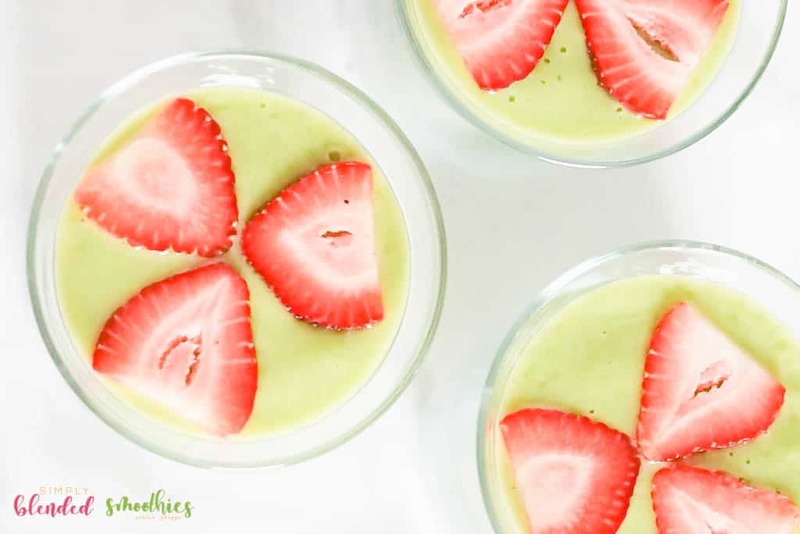 This simple and delicious green smoothie recipe is the perfect starter recipe for those not sure about green smoothies. It tastes fresh, light, delicious and is also super easy to make! Plus you can keep all of these ingredients on hand for easy smoothie making any time. Sounds like a keeper that everyone will love! Pinned & shared! Thank you for sharing on Merry Monday! Hope to see ya next week! That looks beautiful and yummy! I might have to make this for Hubby! 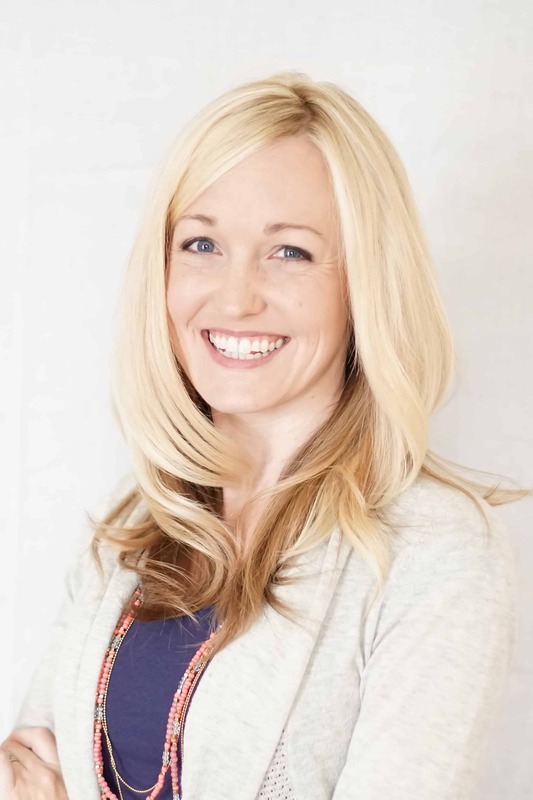 I’d love for you to share over at a new party called Let’s Party. Look forward to seeing you there!